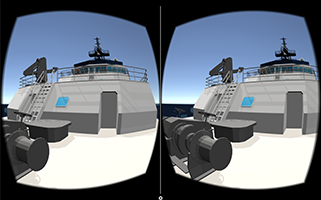 Experience a virtual reality tour aboard Scripps Institution of Oceanography’s newest research vessel, R/V Sally Ride. This app takes viewers on an interactive tour of the exterior of the ship, from the working deck just a few feet above the surface of the ocean all the way to the mast more than 70 feet up. Check out state-of-the-art equipment used to deploy and recover scientific instrumentation used to study the ocean. 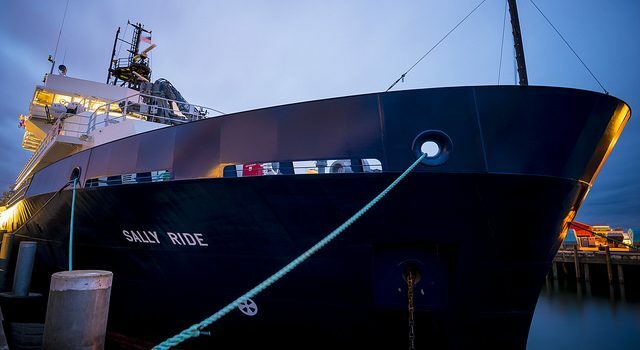 On the back deck is the ship’s A-frame, which can handle a 30,000-pound load. Make your way to the upper decks to see the winches and cranes as they stand ready to lower research gear over the side of the ship. View this app using any phone with a gyro sensor, or for the full experience view using Google Cardboard or a similar virtual reality viewer that is equipped with an input screen trigger. 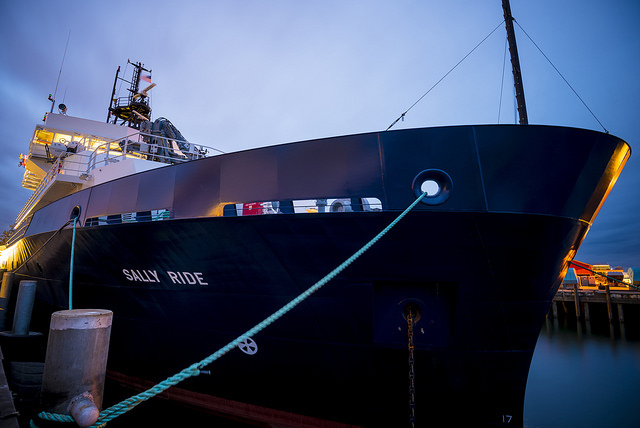 More information about R/V Sally Ride and the amazing scientists who sail on board is available online: scripps.ucsd.edu/ships/sally-ride.